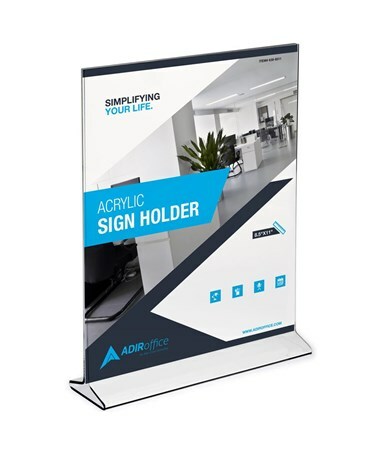 The AdirOffice Upright Frame Top Loading Acrylic Sign Holder is the suitable brand when displaying menus, daily specials or reservations. It is commonly used in cafes, restaurants or in any event. This sign holder can hold 4 x 6, 5 x 7, or 8.5 x 11-inch documents. Also, it presents a specially designed triangular base which provides maximum support. 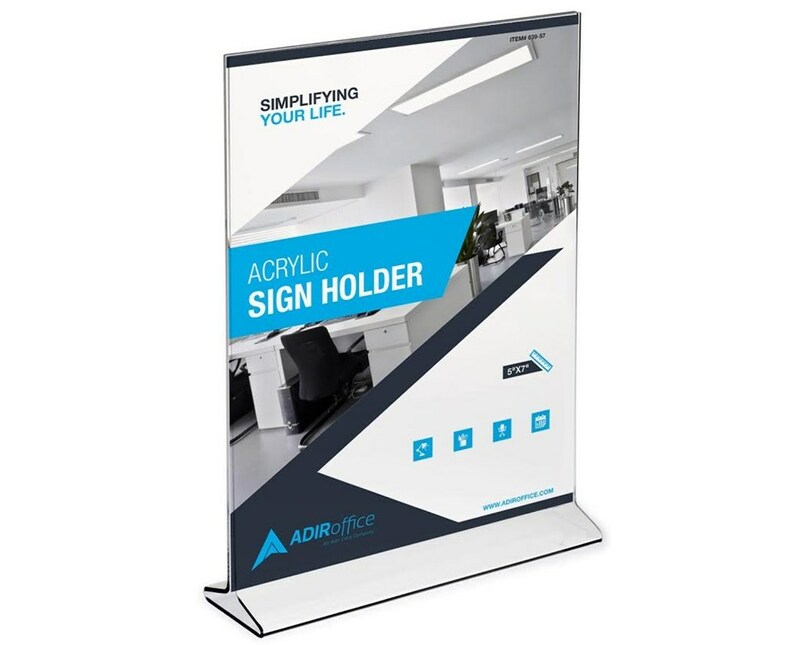 Made of high-quality transparent acrylic, this AdirOffice sign holder can show off both sides of poster or menu. In addition, it is easy to clean which makes it ideal for cafeterias and restaurants. 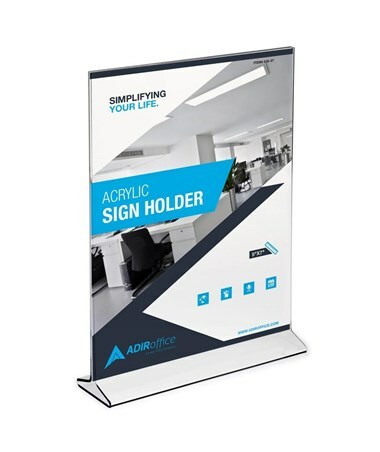 The AdirOffice Upright Frame Top Loading Acrylic Sign Holder different sizes and quantity packs. Please select your preference from the menus above.